The Ford India one of most popular car manufacture, the company got many time new technology awards. 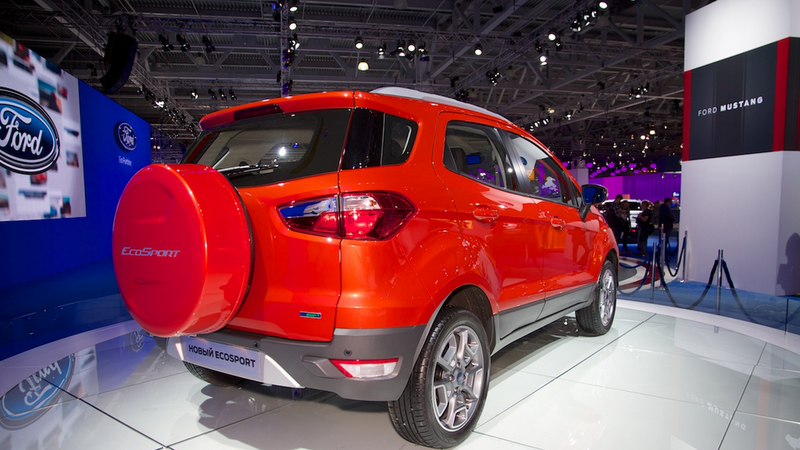 The company recently launched new Ford EcoSpor, which most liked by Indian customer. In the Ford EcoSport you just keep going. The India-made Ford EcoSport will receive a redesign for the European market in May this year. EcoSport prototypes without the external spare wheel were caught testing in Europe last year. Even roads you travel every day will look different in the EcoSport. It seats you higher so you can see more of what’s going on around you. Want to use your phone or change the music on your iPod? Just tell SYNC™ what to do and it’s done. It’s just one of the ways the Ford EcoSport makes life easier. When the EcoSport went on sale in Europe last year, several European media who reviewed the car found the design to be ‘brash’, whereas in markets like India and Brazil, the EcoSport’s design is found favorable for its perceived ruggedness.